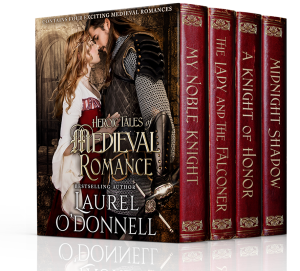 For this week’s Medieval Romance Monday we are featuring a new boxed set collection of 4 full-length medieval romance novels written by Amazon Best Selling Romance Author Laurel O’Donnell. This entry was posted in Medieval Romance Monday and tagged laurel o'donnell, medieval romance boxed set, medieval romance monday. Bookmark the permalink.